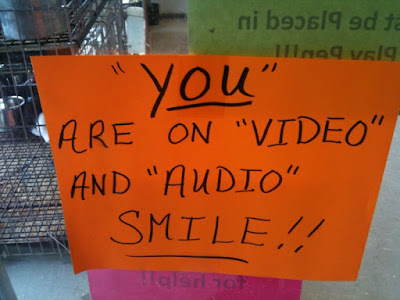 They are pretending to record you. and your voice. "scary"? Thanks, Benjamin. OMG. the WV: for this one was: cifless--eew. @toep--You must have a perfect face for radio.